Helping management teams consistently grow value at their business, based on principles. We have refined a set of “Principles For Growing Value Of An Investment-Grade Privately Held Businesses." This framework can be applied to the vision of a management team in any industry or business. Applying these Principles appropriately results in the differentiation between a Lifestyle business and an Investment-Grade business. 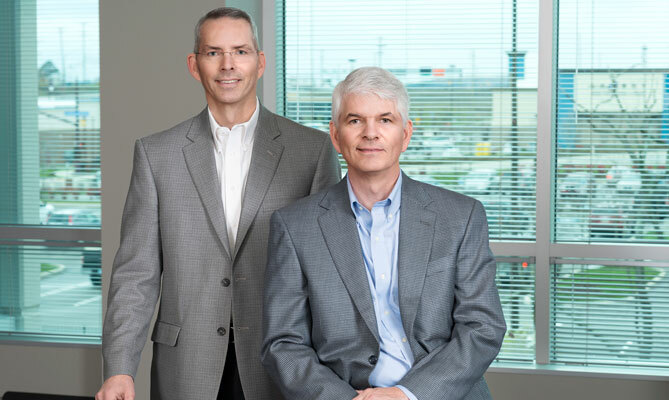 Rick Peterson and Terry Peterson, principals of the holding company responsible for the connection to the business units. A capable management team with enough experience can refine the Business and Industry Specific Principles for their Business circumstances. The premise is that there exists commercial laws that if adhered to will result is a successful business operation year over year, decade over decade. We refine and apply a commonly understood set of these principles so they can be communicated internally and adhered to. The result of this activity is a more specific set of Principles which helps create a common understanding and sets an outcome for everyone in the business to strive for. This more specific set of Principles helps create more coordinated and productive effort by everyone in the enterprise. Industry and Business Specific Principles For Media according to VertMarkets Inc.
Other business standards that apply to the performance of the individuals running a business include our Management Excellence and Leadership Observable Traits documents. We also use a guideline to set a personal standard for trying to achieve excellence, Character Is Destiny. This document wasn’t developed for us to measure others by. We originally published this so others could have an easy way to communicate to us, if they saw us not living up to the our intended behaviors. A new partnership between the management Team and the Holding Co. needs appropriate time and care to integrate well. This Integrating The Team document is a brief explanation of how the Holding Co. has worked with Management Teams at some of the businesses in the beginning years. Peterson Brothers, Inc. is a holding company that owns interests in a diverse group of privately held businesses, along with the management teams at those companies.